We are a group of parents dedicated to helping the students of TVHS. Our foundation is a non-profit organization which serves as an umbrella organization for our member clubs. We provide support, banking services, tax advantages, and other benefits to our member groups. We also organize several large fundraisers as well as work on our own charitable endeavor: raising funds for Temecula Dollars for Scholars. Each year, we award three $1,000 scholarships to deserving students. Can I make a tax deductible donation to one of the Golden Bear Foundation clubs? Yes! 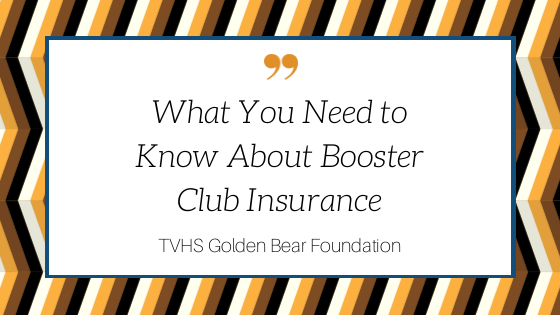 Your donation to the TVHS Golden Bear Foundation can be directed to the member club per your instructions. Are you like the PTA or ASB? No, we are a small group with our own mission and purpose. When I participate in a Golden Bear Foundation event such as your bingo night who exactly am I supporting? It depends on the event, but rest assured, your support is appreciated and ultimately benefits the students of TVHS. For example, proceeds from our bingo nights are split between participating groups and the foundation. Your participation helps your student’s group and helps provide funds for our annual scholarship awards. Win-win! What do I need to know about general liability insurance for my parent support group or club? Below are is an insurance guide and application for your information and convenience.